This particular page is from page 49 of the September 1957 issue of American Modeler magazine. 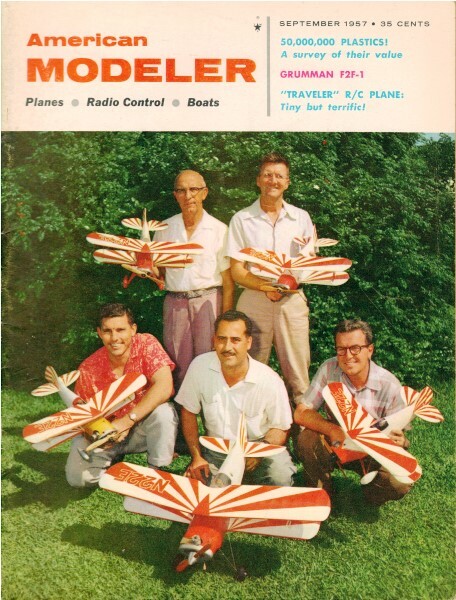 If you can find one of these old models on eBay, it will typically end up selling for more than $200. Thimble Drome is no longer in operation. All copyrights (if any) are hereby acknowledged. Use the U.S. Bureau of Labor Statistics' inflation calculator to see what items cost in today's dollars. 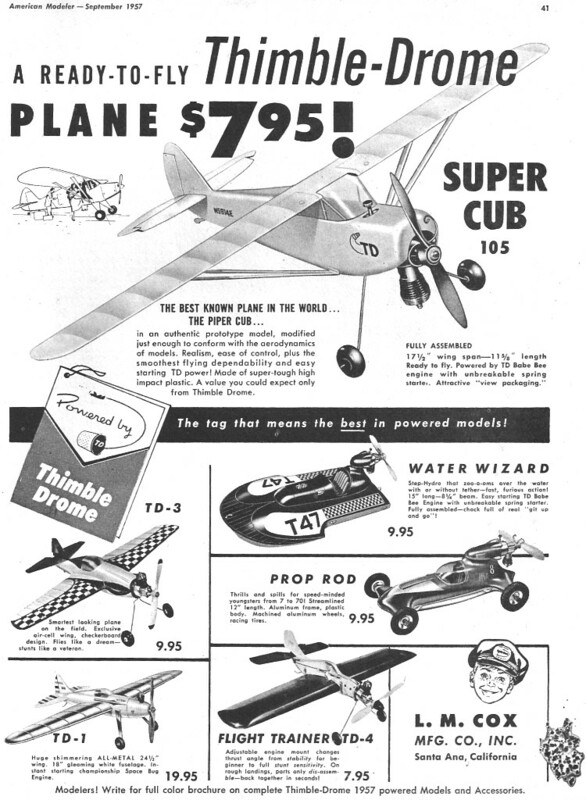 For instance, that $7.95 "Super Cub" would be $61.30 in 2010 money - a factor of about 8x!